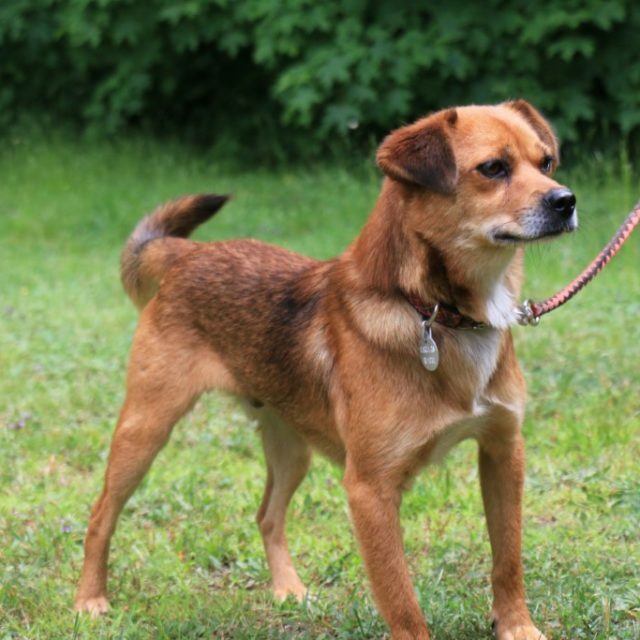 Rocky is a sturdy guy who loves to run and play, both with other dogs and with the humans. He is approximately 3 years of age and has found his way to Carter’s, a meat trade survivor, in search of a loving home. Rocky is house trained and enjoys a good walk or two on his leash every day. He’s looking for a home where the humans will be patient and kind and teach him all he needs to know about being a dog. He’s pretty smart, so it shouldn’t take him too long to catch on. If you are interested in adopting Rocky, please complete the adoption application. Once the application has been received and reviewed a member of the team will be in touch to set up a meet and greet with this fine boy. Rocky’s adoption fee is $500. and includes his neuter, up to date vaccinations and micro-chip.